I am back to baking breakfast foods for my daughter Krista. As I had mentioned in one of my past post she has moved again. She was home for a few months after her internship in Chicago, but now has taken a job in Minneapolis. So when she came home last weekend I wanted to make something for her to take back to her new home. It was a busy weekend so I wanted something simple, but yet something that she would enjoy and something that was a little bit healthy. 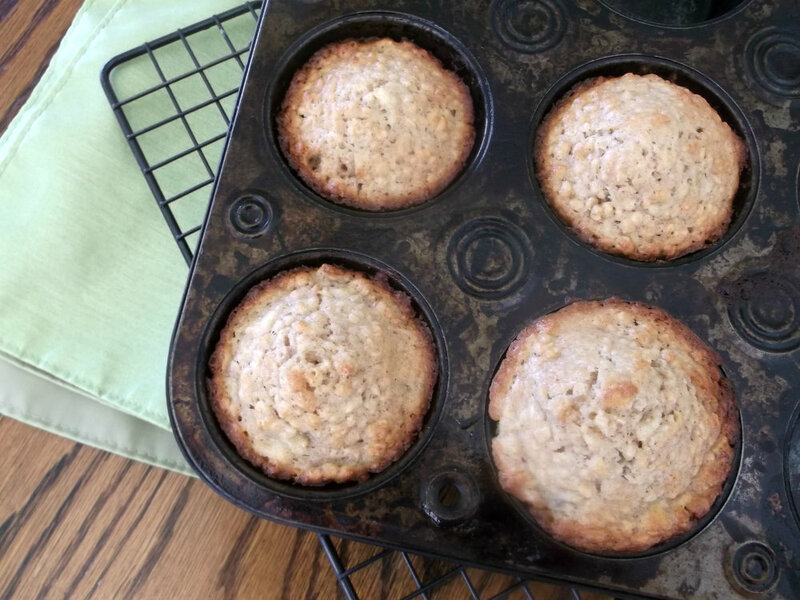 I found a recipe for banana oatmeal that sounded easy to make and thought she would enjoy them. One thing when baking with bananas you are usually guaranteed that it will be nice and moist. I also love baking with cinnamon, it always gives food great flavor and I love the aroma of it. Even though I baked them for my daughter I did have to sample one to see how they would taste. I have to say they were a nice tasty muffin, something I will make again. 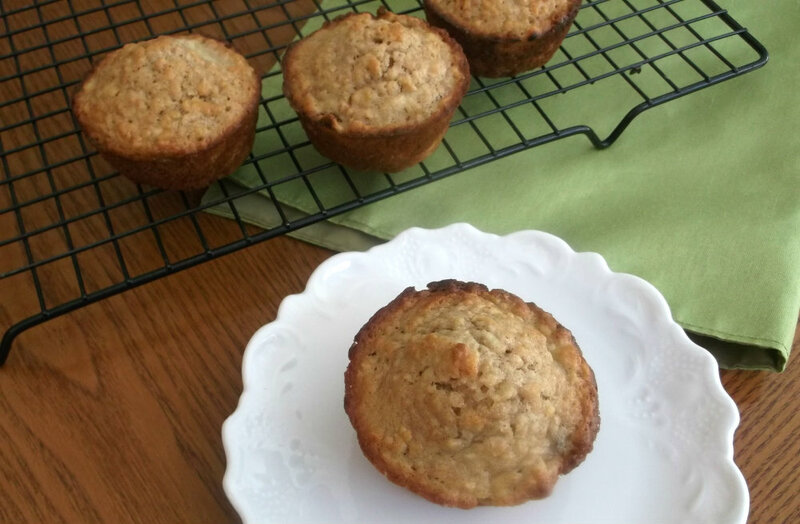 Prepare muffin cups with muffin papers or a lightly greased. In a large mixing bowl, combine the flour, oats, baking powder, salt, and cinnamon. In a separate smaller bowl, cream butter and sugars together by hand until the texture is like wet sand. In a third bowl, beat the egg. Add milk and mix well. Combine all three mixtures in the largest bowl. Mix well. Stir in the mashed bananas. Spoon batter into prepared muffin cups, filling each about 2/3 full. Bake for about 25 minutes or until golden brown (start checking after 20 minutes). 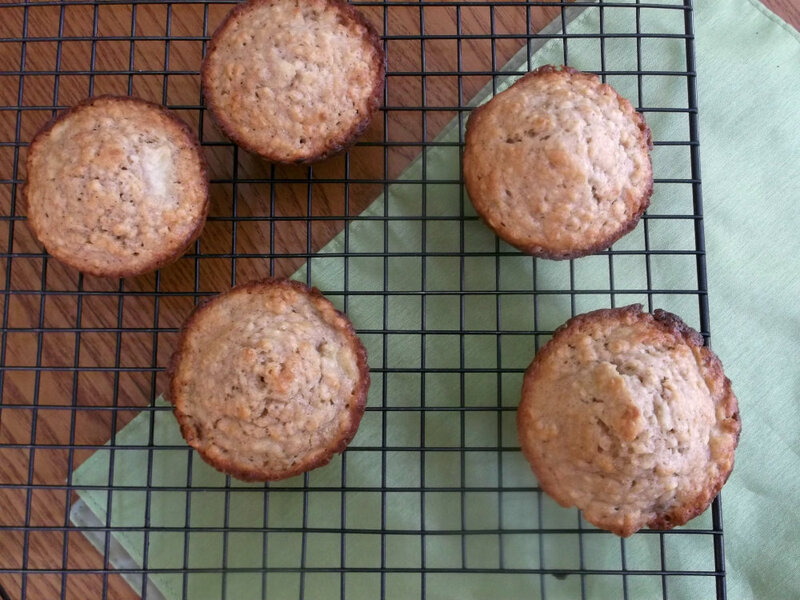 If a toothpick inserted into the center of a muffin comes out clean the muffins are done. YuM! They look wonderful. Wish I had one with my coffee this morning. I bet your daughter was happy to take these home with her! I love banana with cinnamon! A scrumptious combo. You can’t go wrong with bananas and cinnamon! They back into such a lovely combo. Really nice – and they look terrific! Thanks for this.